This post is the second in my series of Android app comparison posts. 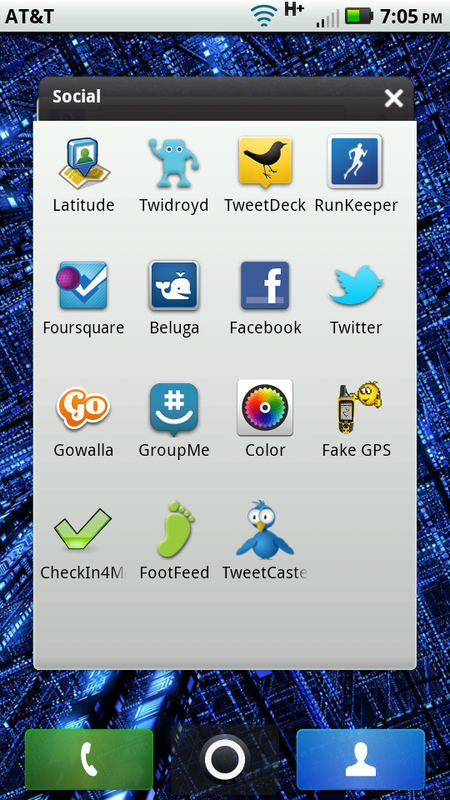 Last time I compared two Twitter clients, this time I'm looking at location-based checkin services. 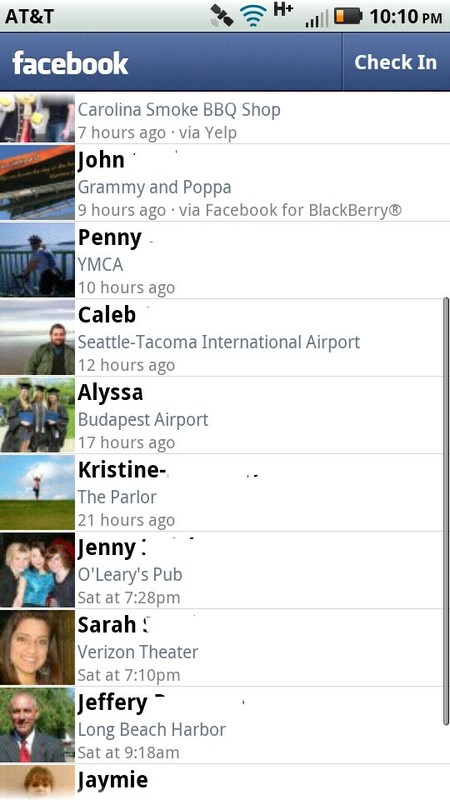 There is one thing to be careful of in sharing your location, and that is privacy. Particularly when I post pictures of my small children, I don't want to make it too obvious to creeps and stalkers exactly where I live. I also personally don't want my full name publicly associated with my posts. You'll notice I don't post it on my blog, or on Twitter. Of course, once these things get imported into Facebook, they become associated with my name, but I have configured my privacy settings so that the association is only visible to friends (and sometimes not all of them), or in some cases, friends of friends. I'm the kind of person who likes to post things from my phone to share with my friends and the world. I particularly like to post pictures, but location is another very social aspect of sharing. Checkin services allow you to post about places such as restaurants, shops, parks, landmarks, transportation, or just about anything else. It's social because a places are concrete things that other people can experience too. They might enjoy the same restaurant, or be looking for one. They might see you check in at a series of airports (or ferries), and get a sense of your travel experience. The most popular checkin service is actually Facebook Places. I think this is because almost everyone already uses Facebook, so they don't need to sign up for anything new, or connect with a new list of friends to share: they can just share. I haven't done much with Facebook Places. 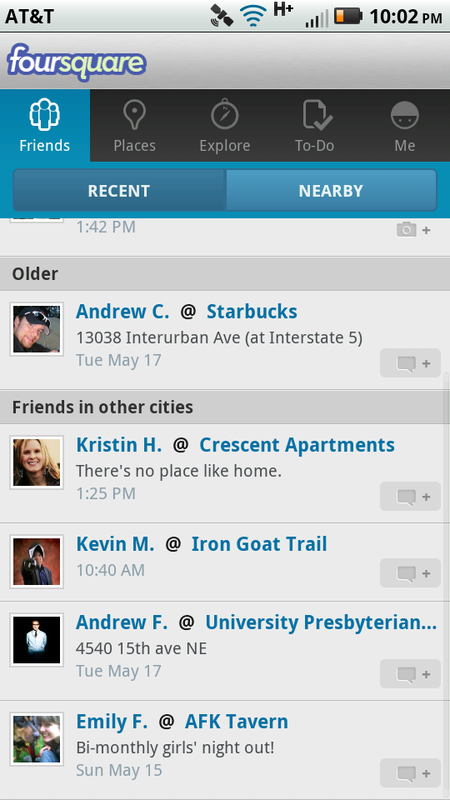 It's also the least interesting, at least among my friends, in that most checkins have no comments or pictures. When I post that I'm somewhere, I usually like to say what I'm doing there: what I ordered, who's with me, what I'm looking for. I also like to include a picture. 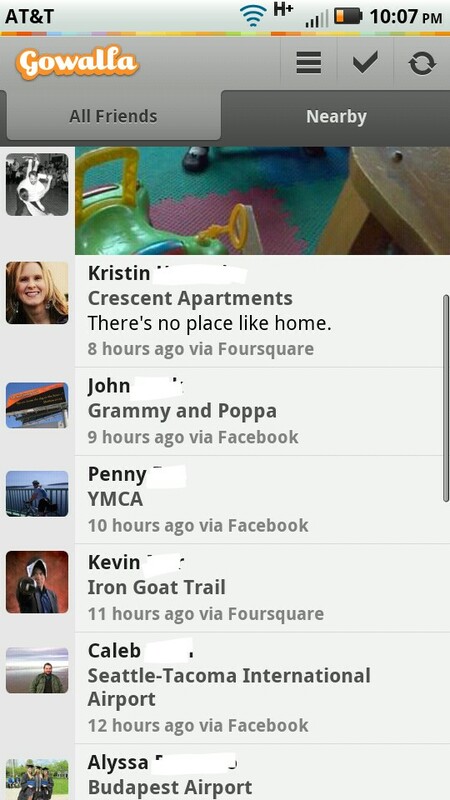 You can do all of these things with Facebook Places, it seems that no one does, though. Points: Each checkin is scored, and you can see how well you're doing in the last 7 days against each of your friends on the leaderboard. Badges: Checking in earns you different badges based on the number and type of checkins you do. You can see which badges you have and which your friends have, and which you don't. Mayorships: If you're the one who checks in the most days at a particular venue in the last 60 days, you become the "mayor" of that place. Deals: Some stores offer special discounts to the mayor, or to anyone who checks in frequently enough. Categories: Foursquare venues are categorized, and each category has a different icon in the interface and can earn you different bonuses. Gowalla is in many ways very similar to Foursquare, however, they have their own unique twist to checking in at a spot. (You'll notice they each call it something different: place, venue, spot, location). Stamps:Whereas Foursquare is more of a competition against others, Gowalla promotes itself as a "game" and tends to be more individual. There is no score, but every place you check in gives you a unique Stamp to collect on your "passport". Pins: Similar to Badges, pins are awarded for checking in, sometimes for a number of times at a number of unique types of spots, sometimes for places (like states or countries), and sometimes for events or special days. Categories: Gowalla has its own category system, similar to Foursquare, but whereas Foursquare's icons (including Badges) are drab monochrome black and white, Gowalla's icons are colorful and bright, drawn in a cartoony style resembling stickers that is very aesthetically attractive. Items: Sometimes when you check in, you will find a bonus Item. There are over 100 different kinds of items, and each item has a unique ID number and a history of who has handled it and where. You can add items to your collection, or you can swap them for items left by others at different spots. Trips: Gowalla has trips generated by users, which are a collection of spots to check in. Once you have completed the tour by checking in at each of those spots, you earn the pin for that Trip. Gowalla also has some nice features on their website: if you check in at a series of airports within certain time parameters, it will combine them into a single trip, showing each airport along the way and the distance between them. Another checkin service that I have not used much is Google Latitude. Latitude is based on Google Maps, and will track your location (and give you stats for your own reference), and share it with your friends who also use Latitude. You can check in to locations, either manually, or automatically for locations you choose, or you can have Latitude give you a notification when it thinks you might want to check in. 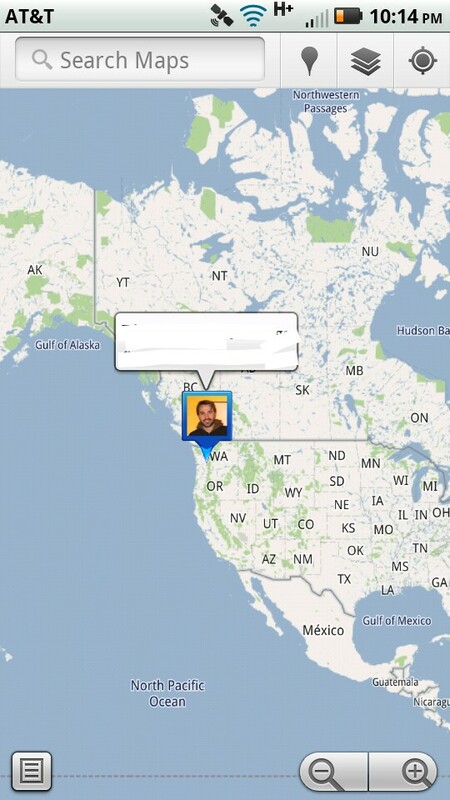 The one thing that doesn't get transferred between Gowalla and Foursquare is photos. Photos on Gowalla are posted to Facebook, but not Foursquare, and Gowalla does not retrieve pictures from other services. Gowalla tries to match its database of spots to Foursquare's database of venues. It's not perfect, though. When there isn't a matching spot, or Gowalla doesn't have it matched, it will still update your foursquare friends, but the checkin won't count for points or towards a mayorship. Footfeed is an app that allows you to manually manage which spots match with which (on Foursquare, Gowalla, Facebook, Latitude), and then check in to all of them in one fell swoop. The app is a full featured replacement for any of the other services, with the exception of pictures. You can report unmatched or mismatched spot/venues to Gowalla and they will add them to their database. 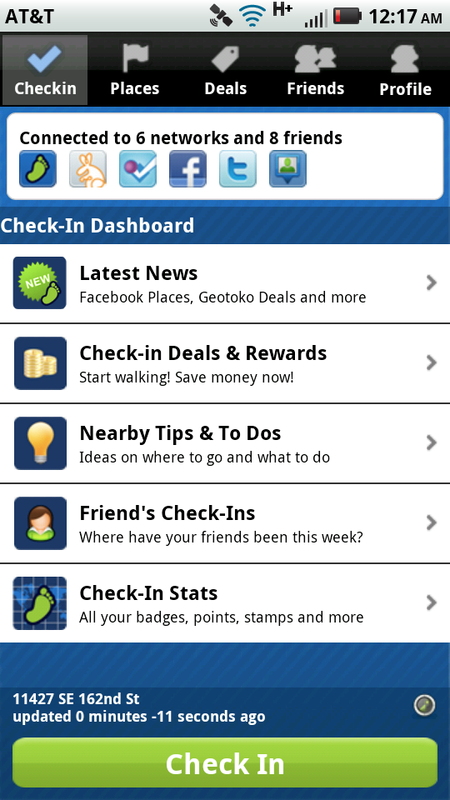 Both Gowalla and Foursquare allow you to submit updated/corrected information, and to manually add missing spots. Personally, I use Gowalla, but I have the Foursquare app installed, and most of my friends who check in do so on Foursquare or Facebook. Occasionally when I know that Gowalla doesn't match up the spots correctly (and I'm not posting a picture), I will use Footfeed to check in.